This is a shot I had dreamed, scouted, and wanted to execute for almost a year and a half now. 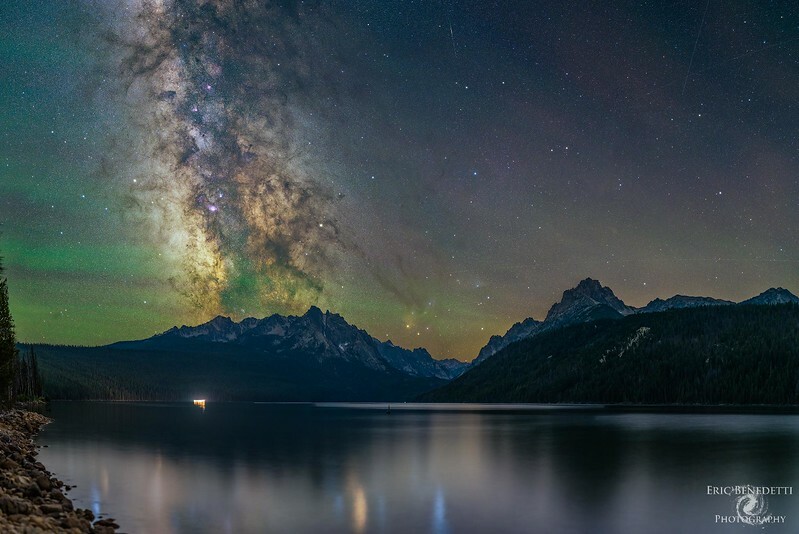 Redfish Lake is a pretty incredible place to shoot the Milky Way, it's supremely dark and for whatever reason the core just looks massive in the sky. Along the south/southwest portion of the lake are the beautiful Sawtooth Mountains, this is an area I've been exploring my entire life and it never ceases to amaze me. This exact shot has eluded me for about 18 months now, thanks to a combination of poor weather, poor timing, and bad wildfires/smoke in the area. While up at my family cabin this last week to shoot the eclipse I FINALLY got a clearish night to make this shot happen. Multiple bear sightings in the area made me a bit skittish to attempt it, but I strapped on the bear spray and headed out on the trail anyways. The Milky Way aligns perfectly over the Grand Mogul peaks with the Rho Ophiuchi Complex dropping in between the Grand Mogul and Heyburn Mountain. Quite frankly this is one of the most perfect late-season alignments you can have, the difficulty of getting any detail out of the Rho Ophiuchi area is tremendous late in the year due to it dropping low in the horizon. Altogether 12 shots went into this one, 4 for the foreground and 8 for the sky, all taken with my Nikon D800E and Sigma Art 50mm lens on a Sky Watcher Star Adventurer Tracking mount. Foreground exposures are 3 minutes at f1.4 and ISO 800, sky exposures at 5 minutes at f2.8 and ISO 800.